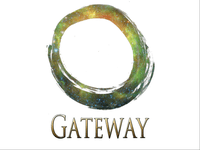 Gateway is a universal RPG, meaning it could in theory run pretty much anything you can imagine as written. It is also universal in the sense that any RPG could be universal...which means it isn’t. Let’s face the truth here, not every set of rules will be applicable to every conceivable imagined setting, nor should it. There are other games out there, and if you find a better fit, by all means, please play them. The one advantage Gateway brings to the table is a modularity of rules. The Basic Portal contains everything you need to run a game using Gateway. Additional Portals cover such things as weapons and gear, fantastical or alien races and cultures, powers of magic or the mind, super powers, vehicles and so forth. create the appropriate level of detail. Each Portal is independent and works in conjunction with the Basic Portal and side by side with the other Portals. Portals are further defined between Rule Portals and Supplement Portals.